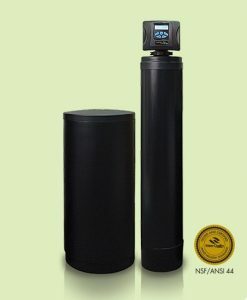 Water softeners in Jacksonville Florida and surrounding North Florida communities have to work very hard to produce clean & clear, mineral-free water. Designed to use less water and salt than other systems while performing at peak efficiency, the CareSoft Pro system will remove unwanted minerals and hardness with ease. Featuring patented IQ2 technology, our Jacksonville water softener installation team will customize the WaterCare® CareSoft Pro system to the exact specifications your household requires. What Can The CareSoft® Water Softener System Do For Us? For larger and heavy-use households, the CareSoft Pro has as a twin system to provide you with high capacity water treatment available when you need it – 24 hours a day, 7 days a week.